James Brown was born to lose. He refused to accept that fate. 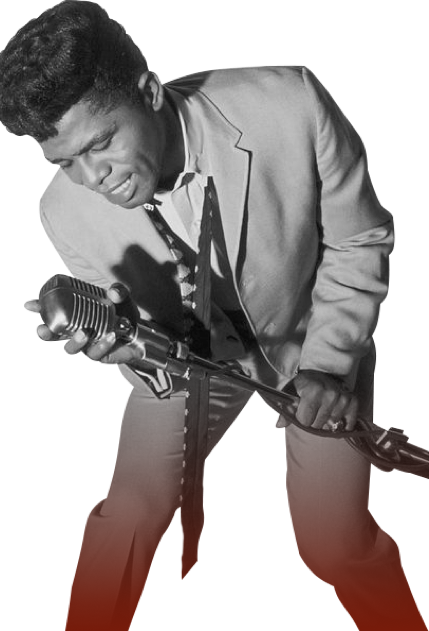 By the time he was in his 30s, James Brown was more than a dominant musical voice: he was an outstanding African-American personality, period. Important enough to be drawn into the murky waters of national politics as an inspiration and role model, he was also feared and sometimes ridiculed. But he would not be denied. Nearly stillborn, then revived by an aunt in a country shack in the piney woods outside Barnwell, South Carolina, on May 3, 1933, Brown was determined to be Somebody. He called his group “Famous” before they had a right to; called himself “Mr. Dynamite” before his first Pop hit; and proclaimed himself “The Hardest Working Man in Show Business” before the music business knew his name. His was a fantasy, a sweet dream. But James Brown had singular talent, and the vision to hire the baddest. In his own time, he became “Soul Brother Number ONE,” a larger-than-life Godfather of Soul.